Sustainable real estate has come a long way since developer Dante Archangeli’s interest in the subject began as an undergraduate at the Massachusetts Institute of Technology in the 1970s, when the United States was in the middle of an energy crisis. “We didn’t call it that back then — just energy efficiency,” Dante says. As a student, Dante worked on building one of MIT’s experimental solar houses. Fast forward a few years to when he joined the workforce, and the industry looked quite different. 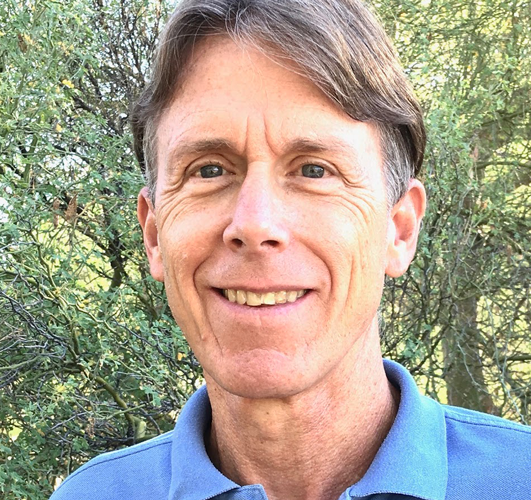 In 1991, Dante started his own residential development company and was able to return to an emphasis on energy efficiency. His team built the first custom homes certified under Tucson Electric Power’s Good Cents program. The Army Reserve Mission Resilience and Sustainability (ARMRS) training attendees were asked to “do a deep dive” into sustainability during an inaugural training conference hosted by Arizona State University. The ARMRS training hosts an abundance of experts in areas such as energy security, water security, solid waste diversion and environmental quality from across the Army Reserve. The goal of the conferences is to stimulate conversation and collaboration around sustainability topics. “It’s everything from the way which we design buildings to the way which we process our waste water,” said Addison D. “Tad” Davis, principal deputy assistant secretary of defense for energy, installations and the environment, and a key speaker at the ARMRS conference. 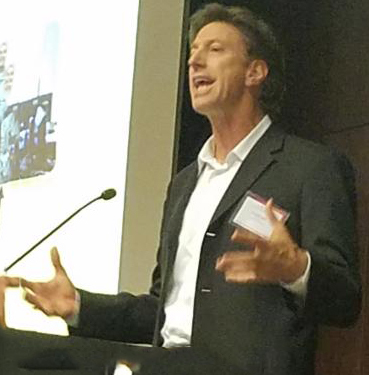 Sustainability experts, ASU faculty and program managers gathered at the ASU-hosted conference, and they were urged by Davis to take full advantage of where they were. 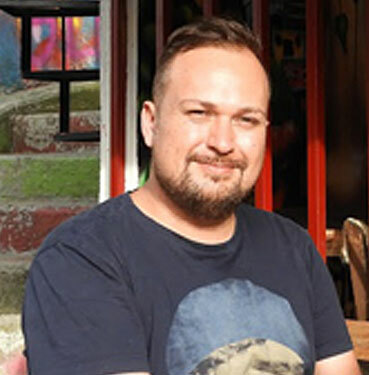 As an American expatriate living in the mountains of Medellín, Colombia, sustainability graduate student Sam Holdren is well versed in what it takes to succeed in an online program that spans across time zones and continents. “You have to make sure you have a strong internet connection,” he says with a laugh, explaining that it is not always as easy as it sounds in a developing country. 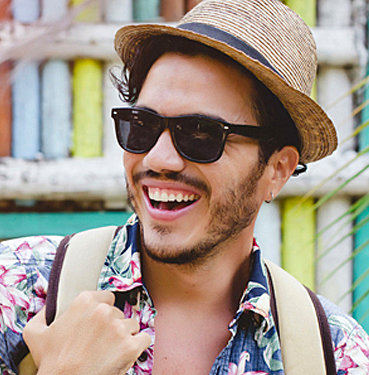 Sam moved to Colombia from Phoenix in early 2015, after falling in love with the country during a Spanish-immersion program in 2013. Soon after, he decided to start a business emphasizing sustainable tourism that protects and preserves the environment and local cultures. It’s not every day you have the chance to do yoga in a place where tarantulas rain from the sky. Then again, there is perhaps no better time to perform stress-reducing yoga poses than while surrounded by said eight-legged friends — not to mention snakes, mosquitoes and monkeys. It was Jimmie who first suggested yoga to his peers during a summer abroad trip to Ecuador, during which the group spent four days in the Amazon rainforest with no electricity or internet. The last time Diane Trimble was in school, printed encyclopedias were the primary source for research papers. Essays were written thanks to hours of combing through books at the library. There was no internet, no e-books — and certainly no search engine called Google. “Technology wasn’t as advanced as it is now,” she explains. “For someone like me who had been out for 20 years, the thought of going back to school was a struggle.” Diane says. She was working as a store manager for Starbucks when the company first began offering full tuition coverage in partnership with ASU, as part of the Starbucks College Achievement Plan. In 2015, Diane decided to enroll, and she graduated with a degree in organizational leadership the following year. Diane is now pursuing her master’s in sustainability leadership, and credits the flexibility of ASU Online with giving her the ability to pursue her goals while juggling the role of working mom. Jessica Ohrt’s passion for sustainability can be traced back to her days as a volunteer with the Girl Scouts, where there was often a focus on environmentalism and community building. One of her all-time favorite roles was as a Girl Scouts Service Unit Director. “I felt joy and a sense of purpose because I was creating a group of girls and adults who were interested in making the world a better place,” Jessica says. Today, her life has come full circle — many of the things she learned through that role she now studies through her program at ASU Online. 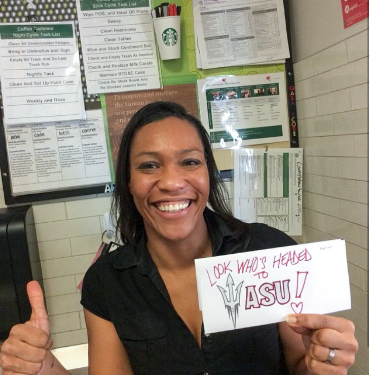 Jessica’s ASU journey began while working at Starbucks, where she discovered the company’s College Achievement Program. The Peace Corps is an international service organization of the United States where volunteers make a difference through meaningful service. This service tackles the most pressing needs of people around the world and develops cross cultural, leadership, language, teaching and community development skills. 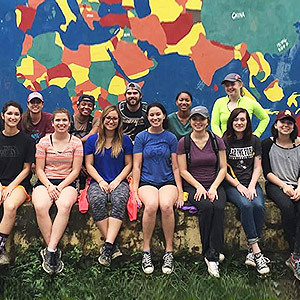 This past spring, ASU student, sophomore, Clarice Bayne packed her bags, hopped on a plane (for the first time in her life) and traveled from Seattle to the Dominican Republic for “Taste of the Peace Corps.” Her life hasn’t been the same since. Clarice has always juggled a lot; multiple jobs, living independently and going to school when she could. 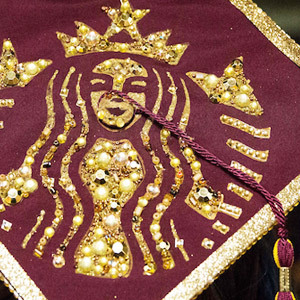 She started at ASU Online through the Starbucks College Achievement Plan, and fell in love with the university. She was impressed with the engaging environment, flexible learning, and her ability to manage the coursework on top of three jobs. She has always been passionate about the environment and reducing her impact, and is now working towards making her passion a career through her major, a Bachelor’s of Arts in Sustainability. Imagine if one person failed to recycle a plastic bottle. It may not seem like much, but in a world of more than 7 billion people, the small actions of a few can quickly become the big problems of many — a lesson that Sarah Morrow learned firsthand when she took a walk on the beach. 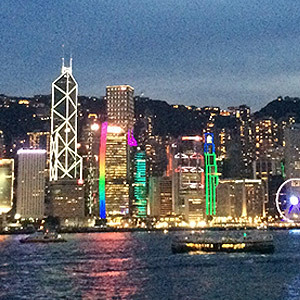 I was on Lantau Island in Hong Kong,” she explains. “We went out to the beach and you couldn’t walk without wearing shoes because there was so much debris from the ocean. There were a lot of dead fish, as well, and it solidified why I wanted to study sustainability. You may not want to recycle that bottle, but if everyone has that same philosophy, it impacts our world.” Sarah had traveled more than 7,500 miles to participate in ASU’s urban sustainability initiative abroad, part of the Global Sustainability Studies Program.